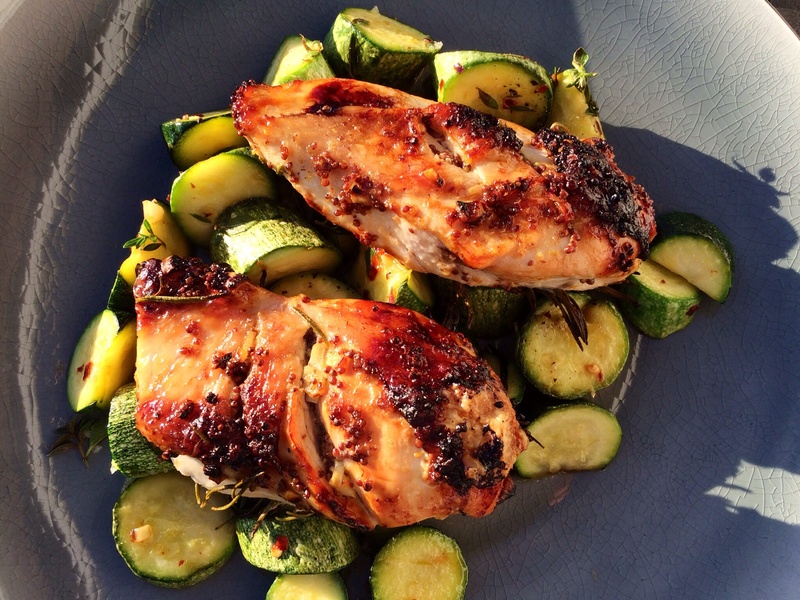 Rosemary chicken with honey, mustard and lemon. This is one of those dishes which will fill you with pleasure. If you can pick your own home grown rosemary the fragrance is divine. 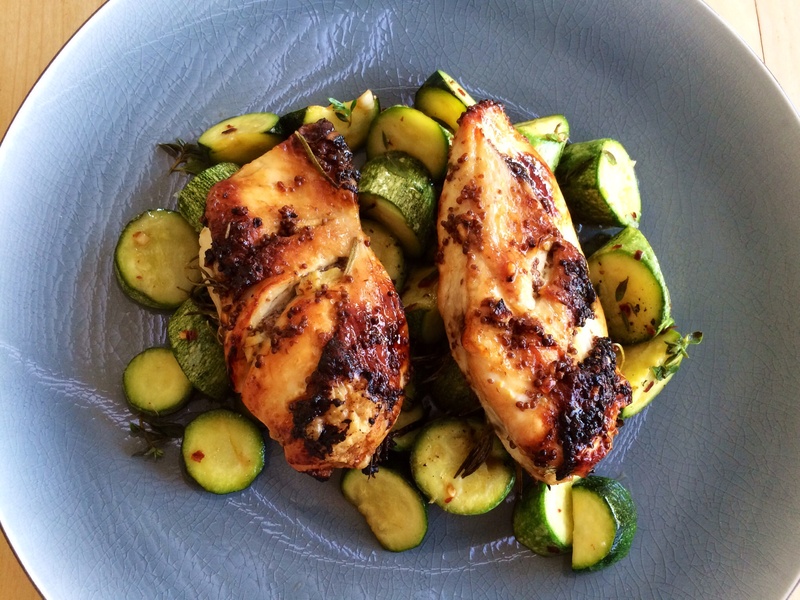 A few simple ingredients, a good piece of chicken simply cooked. Perfect! If you can, try and buy the chicken breasts from your local butcher, they always seem more succulent. Put the oven on 200c. Slice half the lemon and place the slices on the bottom of a baking tray. 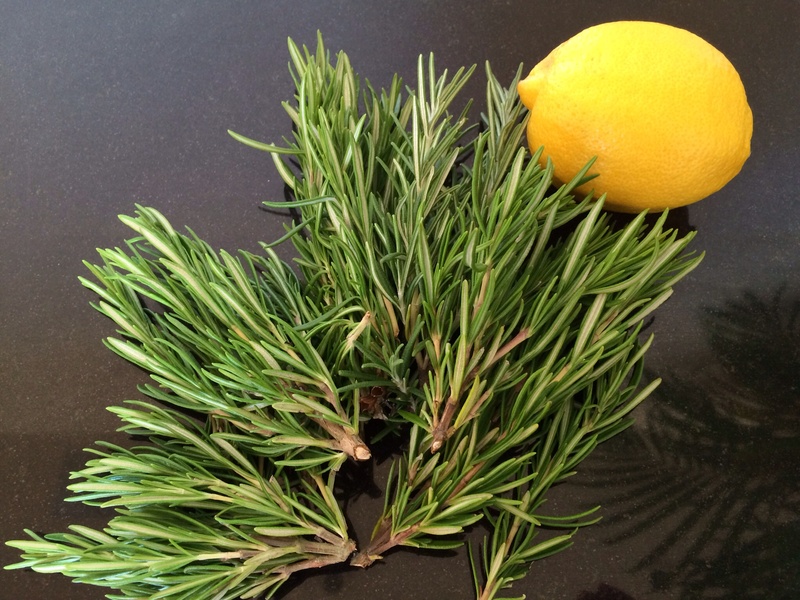 Lay the rosemary on top, drizzle over some olive oil. Make a few cuts into the chicken. 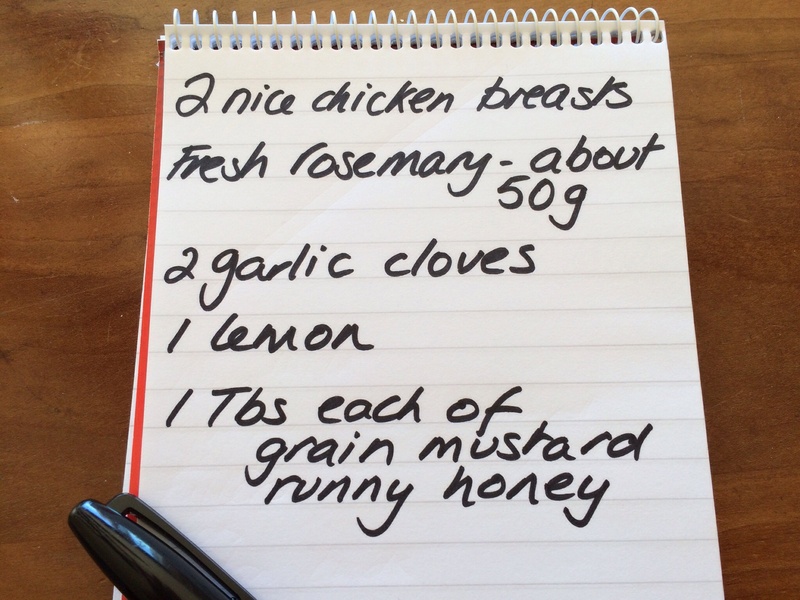 Mix the mustard, honey and the squeezed remaining half of lemon juice and chopped garlic together and rub into the chicken. Lay the chicken on top of the rosemary. Drizzle over some olive oil, salt and pepper. Bake in the middle of the hot oven for about half an hour, turning once or twice. Remove from the rosemary and serve. I left the skin on the breasts, but remove if you prefer. Really nice served with chilli and garlic courgettes. Pour yourself a nice drink and go and find somewhere sunny outside to eat! ← Delicious mixed mushrooms with pasta.